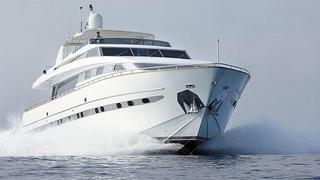 The 30m Sanlorenzo motor yacht Las Brisas is now available for charter in the Western Mediterranean through Andrea Pothier at Northrop & Johnson in France. Her styling is modern and timeless and is sure to please all clients' tastes. Her interior is well laid out and comfortably accommodates nine guests in four staterooms. Charterers will especially appreciate her enormous main saloon offering a relaxed atmosphere. The flybridge is a great outdoor space with lounge sofas, sun beds and there are plenty of options available to create a large alfresco dining area. Las Brisas charters at weekly rates starting from €46,000.